Good morning. So we here go with the second day of the PASS BA Conference. After a really good first day todays keynote started with a Lady I have never heard before. Her name is Mico Yuk, CEO of BI Brainz and she is a great lady. And although it was very hard to have a keynote after Day 1 keynote of Carlo Ratti, who showed us more the visionary future of Analytics, she really made it very well and grounded the people with the day to day challenges. “We are drowning in Information but starved for knowledge”. But what are the reasons for? 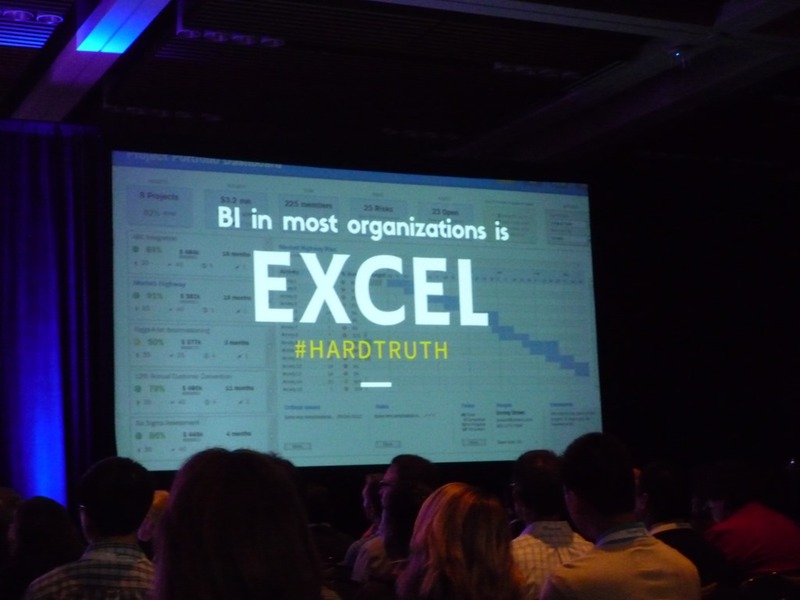 BI projects in general are still to technical driven by the IT and we still have lot’s of silos in organizations, like a BI Team, Analysts, Data Science Team, etc. But these teams have to work together, because a lot of Data Scientists spent a long time at school and are smart, but with not much experience in the field and not enough business understanding. That is a gap that business departments and analysts can fill. In the world of BI the main focus is about explaining the things that happened (the past). A lot of Data Scientists can ask question on things, nobody thought before and can give you insides in your data and your business people never noticed before. So again, these teams have to work together and we can’t give it just to the IT. As Mico said a lot of BI projects stop on just presenting numbers, but as a decision maker your are more focused on actions. So the last step of creating the right actions out of my numbers & trends is often the missing part. But it is also not that easy to achieve, because in order to get it right, you first need the trust of the users and this has a lot to do with communication. So what has this to do with Visual Storyboarding? Something that I also recognized in the keynote of day 1 was that a lot of great visualizations are still hand made by graphic designers and developers. So there is still a larger gap in the ease of use of tools and the quality of presenting data. This has also to do with a new kind of user experience that people also expect in business application that is more driven by consumer products and apps. Data Analytics is still hard work. You have to leverage so many skills, also non-technical skills, to get it really right. 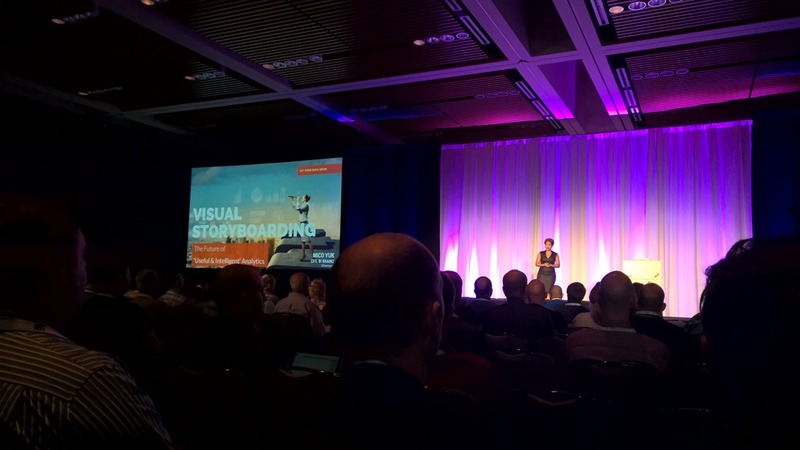 Visualization and Storytelling is something we will see more in the future and is for me definitely a way to go to close the last mile to the user. I see many people catching up with R. R is more and more used in the community and also in business departments, so I think Microsoft made a big step in the right direction by acquiring Revolution Analytics. Thanks for the keynote recap. So great to chat with you as well at the event. Always fun to discuss European culture and how it differs from the US.